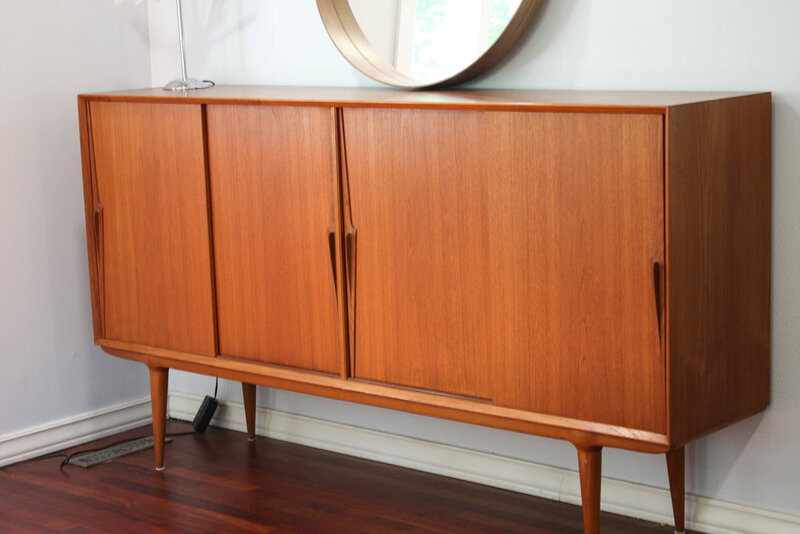 We are lucky to have this insanely gorgeous teak sideboard/highboard designed by Gunni Omann for Omann Jun. 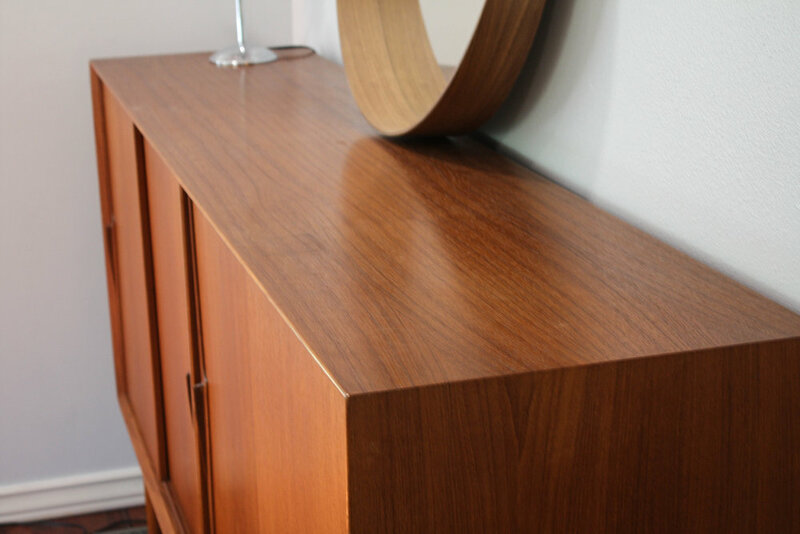 The beautiful grain of the teak is definitely one of the best parts of this piece. The solid teak legs as well as the sculpted handles, are a signature of Omann's style, and seemlessly blend in with the rest of the cabinet. Be sure to note that the legs splay outward slightly giving an organic feel to the piece. The four sliding doors open to reveal a generous amount of storage space and an interior finished in teak. The far left door opens to six sliding drawers with finger joint detail. Behind the other three doors, there are six different shelves that can all be adjusted to meet a variety of needs, or completely removed if you need maximum height for storage. The backside is finished which means this piece could easily float in the middle of a large space and act as a room divider. Very minimal signs of use commensurate with age, small dark spot on top could be sanded/oiled out if desired. Overall shows very nicely and does not, in our opinion, require any refinishing.